For over 20 years, singer/songwriter Gary Lapow has been inspiring young people through his music. Gary’s programs teach children to respect themselves and their communities, reach out to others and celebrate the many joys of life. This year Gary offers nine programs, and he can perform two different shows in a back-to-back booking. Read what the San Francisco Chronicle had to say in their September 2005 article about Gary’s music. 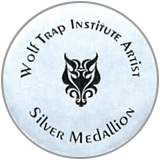 As a “Master Artist” for the Wolf Trap Institute For Early Learning Through The Arts, Gary teaches and trains educators throughout the country. Since 1988, Gary’s Kaleidoscope Concert has been shown on the Disney Channel’s show “Music Box”. Gary has been a keynote speaker and workshop leader at American Association of Young Children (AEYC) conferences around the country. Gary has performed at the prestigious Vancouver Folk Music Festival and the Vancouver International Children’s Festival. Six of Gary’s original compositions were published in Silver, Burdett and Ginn’s national music education series, World Of Music. Nine-time Recipient of the American Society of Composers And Publishers (ASCAP) Honorarium for his work with children. 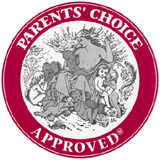 Parent’s Choice Honors and Wolf Trap Silver Medallion recipient for his children’s recordings.